You will love tangling on the round tile. 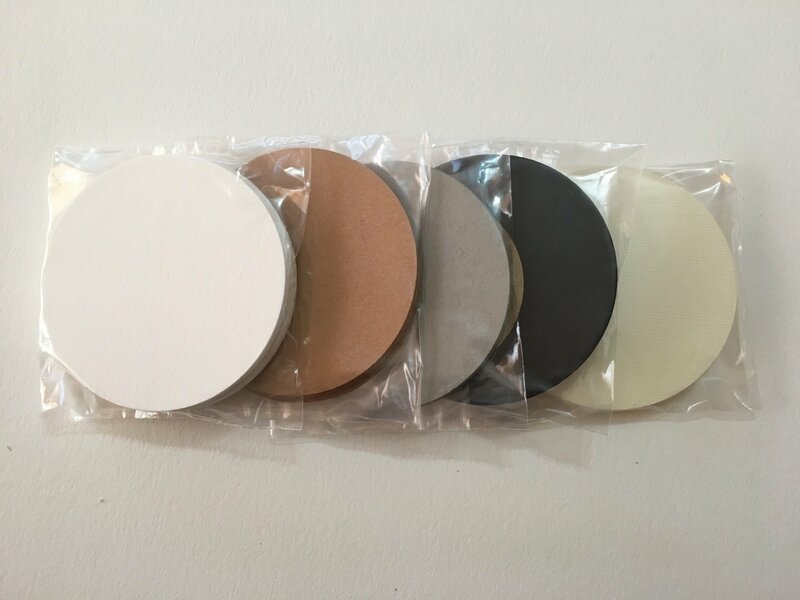 5 Different colors, White, Brown, Gray, Black and Cream. Weight of paper does vary. Tile size 3 1/2"